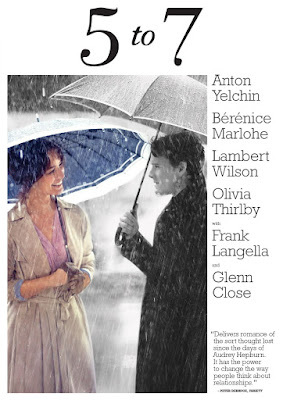 As the narrative within 5 to 7 began to unfold, I found myself marveling at the various aspects of filmmaking: the dialogue written by Victor Levin was snappy and clever, which he was able to direct magnificently, utilizing the talent of his actors in a way that made the casting seem inspired. Initially, the only thing I did not love about Levin’s film was the plot. I have never been completely sold on the idealized passion of cinematic adultery, and found myself cringing as the two main characters made their way to the bedroom. It was also in the bedroom that 5 to 7 eventually won me over, choosing an old fashioned glamorous approach to the representation of romance over the indulgence of raw carnal desire. I can’t quite understand how a film which hardly shows the romantic leads in anything less than undergarments was given an R-rating, because it is the intentionally mild sentimentality which causes the film to stand apart from most modern romance. 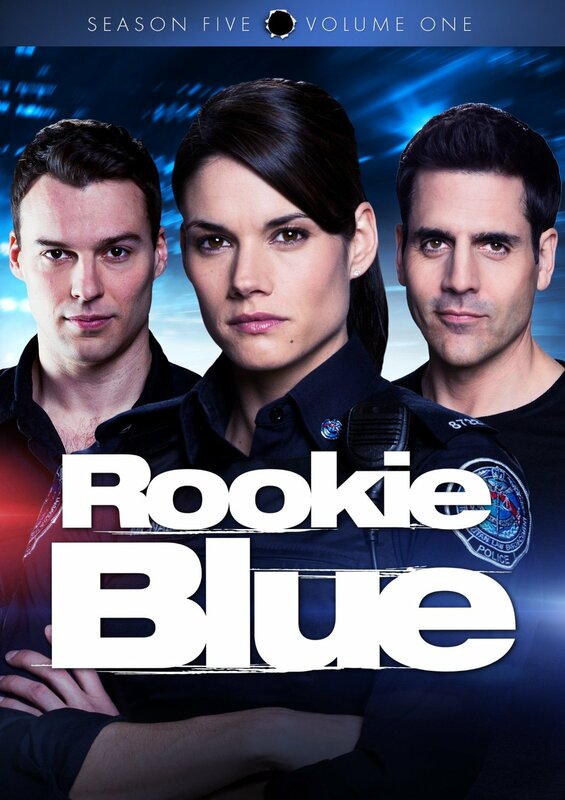 It has been done before, and there isn’t a whole lot new in this Canadian-made cop show aside from the blending of soap opera elements which make it feel like “Grey’s Anatomy” with guns. There is less that is realistic within the cop drama involving highly attractive professionals who enjoy bed-hopping between catching crooks, but somehow that seems to be the point. It is less about gritty realism and more about the melodrama. And somehow that has worked well enough to last five seasons and counting, even if the narratives get increasingly unbelievable and contrived. Boasting a mildly unique premise and one noteworthy breakout performance from Israeli actress and model, Lara Vosburgh, Inner Demons is an otherwise all-too-familiar found footage horror film without much inspiration or originality beneath the surface. Ten years ago with a better budget this film may have been slightly relevant, but now it is just another in an endless onslaught of both bad exorcism movies and cheaply made found footage horror. 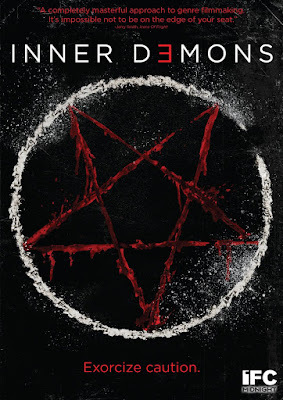 This low budget independent thriller doesn’t even have the distinction of being the first or second of the found footage exorcism films, and the correlation between drug addiction within the narrative is not nearly as profoundly creative as the filmmakers seem to believe. 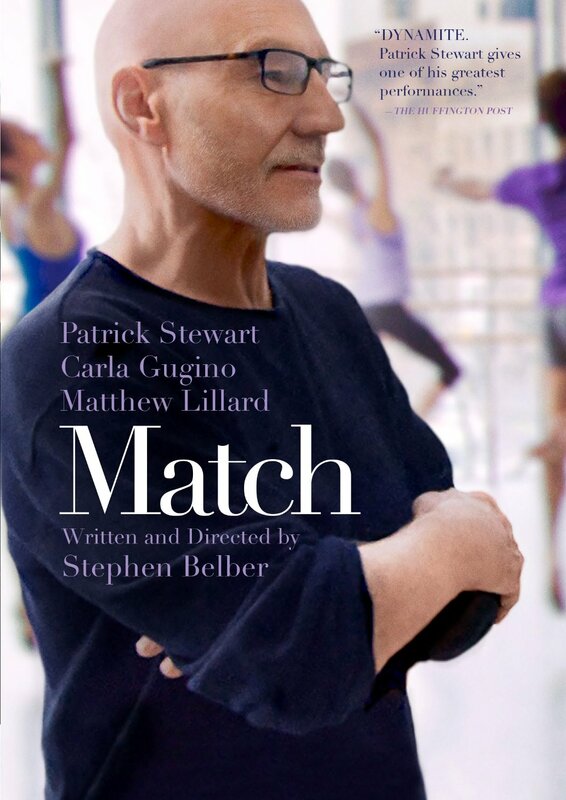 With three people in a small apartment carrying a conversation for a majority of its running time, it is easy to see that Match is adapted from a Tony Award-nominated play. Stephen Belber adapted his own material with slight adjustments, but even with the advantages of the camera’s intimacy this feels better suited for the stage. Something about the convenient contrivances of the melodrama fits with the fallacies of stage that already demand a certain suspension of disbelief from its audience members, whereas each narrative twist on film feels more expected than the last. The saving grace of the material comes in the form of a dedicated cast, though it is Patrick Stewart’s showy performance that overshadows the rest.